To find out more about our successful alliance with ABN AMRO and our participation in ATD 2015, download our whitepaper. 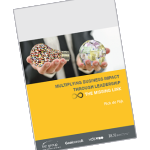 This whitepaper gives you more information about the concept behind the Business Leadership Program. To receive your copy directly in your mailbox, just fill in your details.